So far this summer blue nails have been my staple go-to nail polish shade. Maybe blue is just a summery hue or it could be the fact I've been procrastination on Pinterest looking at the beautiful blue and white building of Greece as of late! Either way I'm loving all shades blue - from milky pastel tones to vibrant cobalt blues and every shade in between. 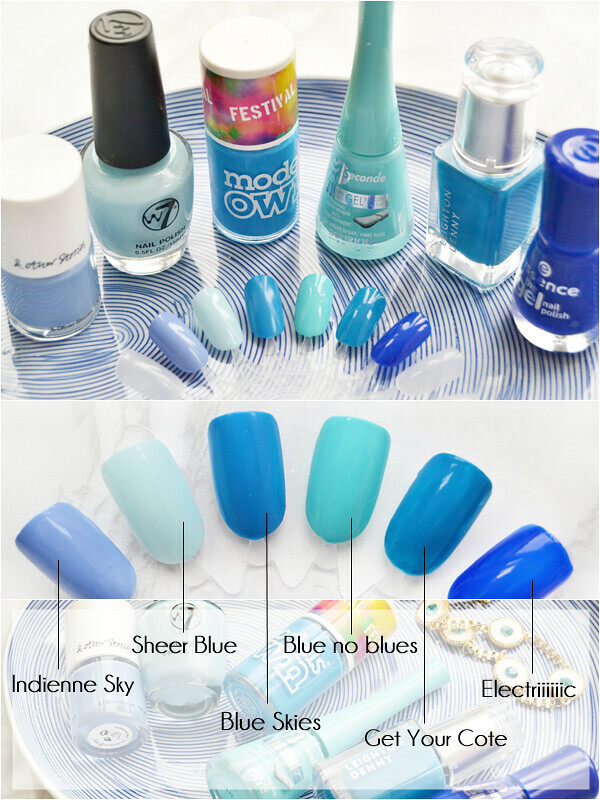 I also think blue nail polishes whether light or dark stand out against any skin tone and darker more vivid tones work especially well on the toes. So here are just 6 nail polishes I've picked out from my collection that I truly love. Two favourites here, both new and old. My newest blue is this lovely sky blue shade from & Other Stories which applies lovely in 2 coats... though this does remind me of a shade from Collection and in a very similar style bottle... hmmm. But pretty and summery none the less! I'm also a huge fan of W7 Sheer Blue which isn't sheer at all but a lovely opaque baby blue shade that is ideal for sunny days. Trust me, never overlook W7 nail polishes, they are amazing! On to more mid-tone blues with a classic blue from Models Own in Blue Skies. This is a shade to suit all skin tones and can be worn on both the fingers and toes and looks great! A staple blue for me. 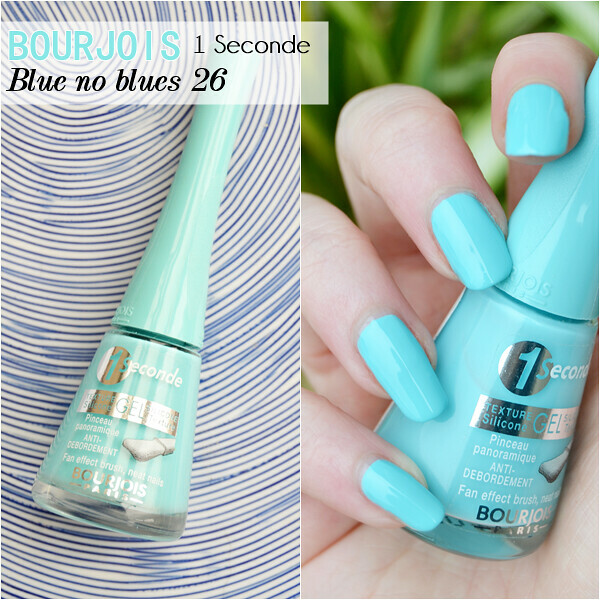 Another gorgeous shade is the Bourjois Blue no blues 1 Seconde nail polish which I actually got complimented on by a sales assistant only last week. This is a truly happy/sunny shade that is also a dream to apply (love the brush)... plus you can get away with applying just a single coat if you're in a rush! Deeper blues for me also make me happy and again I think they suit both pale and tanned skin well. 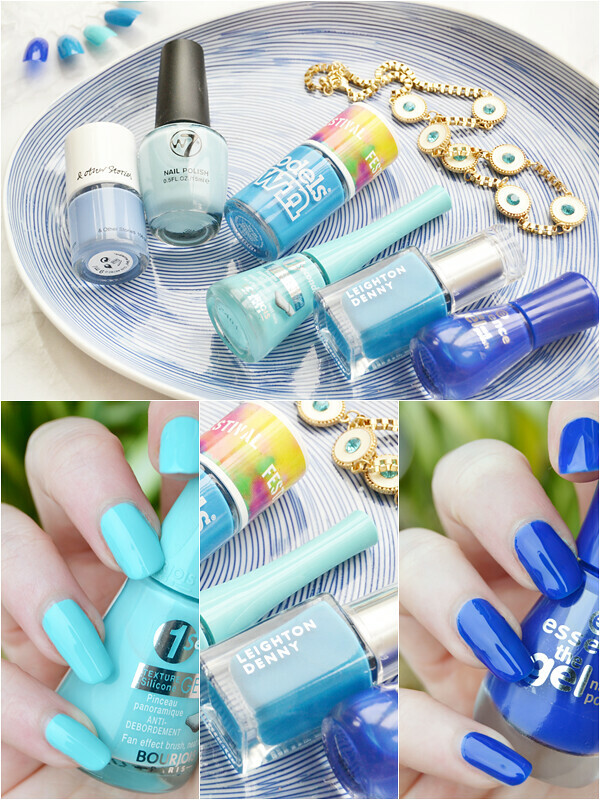 I also love to wear vivid blue nail polish when wearing white - them Greek vibes again! Leighton Denny's Get Your Cote although not the cheapest of nail polish is another classic blue that can be worn anytime of the year and has such a perfect formula. I've also owned this for quite some time now and it's yet to go gloopy! Lastly a stunning colbalt blue with Essence Electriiiic. Annoying shade name aside, this is an amazing nail polish for the price and is that extra bit shiny being a 'gel' like nail polish. 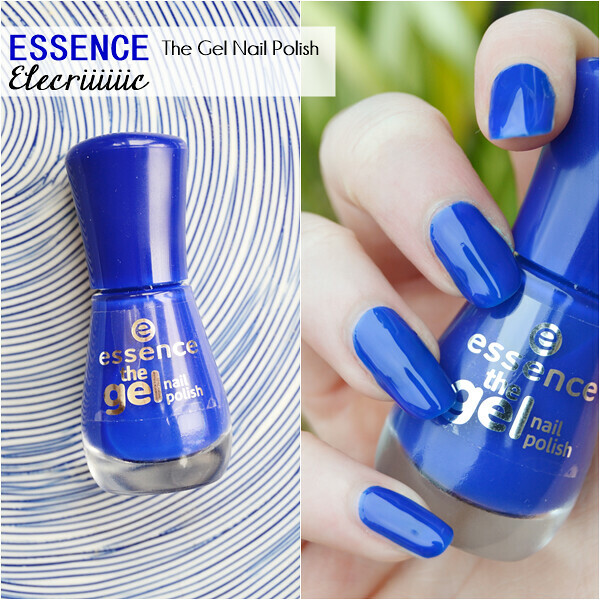 Essence always impress me, but this is a true winner of a shade. I've sadly realised I've only included creme nail polishes here... no pretty duo-chromes or shimmery shades but clearly creme shades are floating my boat right now. Plus I kind of think shimmery blue shades are a bit ageing. But hopefully you have discovered some new shades none the less! You can also find my top 5 green nail polishes for summer here! What nail polish colour should I write a blog post on next?